Minerals originating from conflict regions can end up in electronics and many other products such as jewelry, airplanes, and automobiles. Greater awareness of the atrocities in these regions on the part of the public and end-use industries has prompted leading companies in the electronics sector to investigate their supply chains to determine steps to promote responsible sourcing of specific minerals. These metals can come from many sources around the world, including mines in the Democratic Republic of Congo (DRC), which are estimated to provide approximately 18% of global tantalum production, 4% of tin, 3% of tungsten, and 2% of gold. Some of the mines in the DRC are controlled by militias responsible for atrocities that have been committed in the Congolese civil war. The background to the Congolese conflict is complicated and its resolution requires action on multiple fronts. However, promoting legitimate trade in minerals in the region may help provide an escape from the conflict. Our commitment to sustainable development compels us to address this conflict, even though Silicom does not directly source minerals from the DRC and the mines are typically seven or more tiers removed from our direct suppliers. The supply chain for the metals of concern consists of many tiers, including mines, traders, exporters, smelters, refiners, alloy producers and component manufacturers, before reaching Silicom direct suppliers. The combination of a lengthy, complex and regularly changing supply chain and the refining process makes it difficult to track and trace the minerals back to the mine of origin. “Conflict minerals” originating from the Democratic Republic of the Congo (DRC) are sometimes mined and sold by armed groups to “finance conflict characterized by extreme levels of violence”. 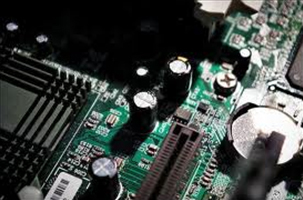 Some of these minerals and the metals created from them (such as tantalum, tin, tungsten and gold) can make their way into the supply chains of the products used around the world, including those in the electronics industry. 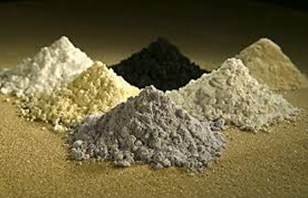 Silicom’s suppliers acquire and use minerals from multiple sources worldwide. 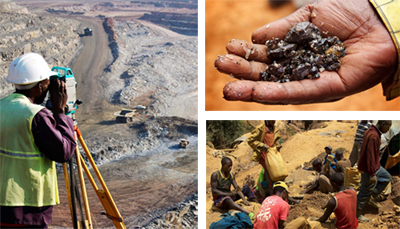 As part of Silicom commitment to corporate responsibility and respecting human rights in our own operations and in our global supply chain, it is Silicom goal to seek to use tantalum, tin, tungsten and gold in our products that are “DRC conflict free” while continuing to support responsible in-region mineral sourcing from the DRC and adjoining countries. Silicom expects our suppliers to have in place policies and due diligence measures that will enable us to reasonably assure that products and components supplied to us containing conflict minerals are DRC conflict free. Silicom expects our suppliers to comply with the Electronic Industry Citizenship Coalition (EICC) Code of Conduct and conduct their business in alignment with Silicom supply chain responsibility expectations. Provide, and expect our suppliers to cooperate in providing, due diligence information to confirm the tantalum, tin, tungsten and gold in our supply-chain is DRC conflict free. Commit to transparency in the implementation of this policy by making available reports on our progress to relevant stakeholders and the public. With the EICC-GeSI Work Group, we have developed a supplier survey tool to standardize the collection of information from the suppliers in our supply chain. In August 2011 the Conflict Minerals Reporting Template tool (“Template”) was launched. Silicom and the industry are now using this template to identify the smelters that process the metals used in our supply chain. The tool is available, free of charge, on the Conflict-Free Smelter website. Based on the information we collected from suppliers we created a Silicom Conflict Minerals Declaration, which includes a list of smelters that were identified in our supply chain. The Silicom Conflict Mineral Declaration can be downloaded here. We encourage all identified smelters to participate in the Conflict Free Smelter program. By publishing this smelter list we create transparency at deeper levels in our supply chain of those actors that we believe hold the key towards effectively addressing the concerns around conflict minerals. The Conflict-Free Smelter (CFS) program makes it possible to identify smelters that can demonstrate through an independent third party assessment that the raw materials they procure did not originate from sources that contribute to conflict in the DRC. This enables suppliers to source metals from conflict-free smelters. The CFS program was developed through a multi-stakeholder process, and the first audits were completed for tantalum smelters in 2010. As DRC conflict-free smelters are validated through this program, Silicom plans to direct our suppliers to use these smelters. The list of conflict-free smelters is available here. In case of any requests or questions please contact David Kashper, Silicom QA & EMS Director.